Yep, I did it. I jumped on the black bean brownie-bandwagon. 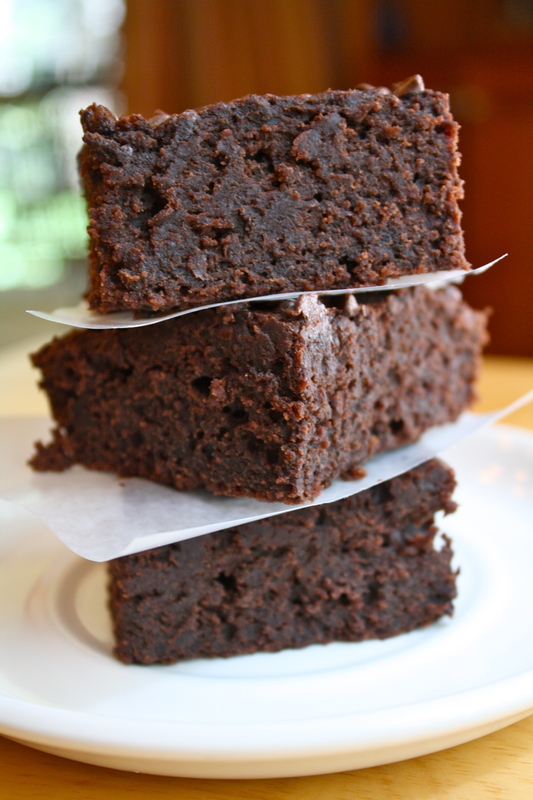 I’ve been scouring the internet for literally years (I swear, I do have a life…) for a good, egg-free black bean brownie recipe, and never found one that I truly liked enough until I found Gina’s. Three ingredients, no fuss, and an incredible, fudgey concoction as a result. Sounds good to me! Please head on over to Skinnytaste (click for link) to check out this incredible recipe. I didn’t change it at all, and I can’t claim it as my own (though I do wish I had had the genius to make it up!). I’ve been really wanting to try making black bean brownies! I’ve seen so many recipes and everyone who has made them seems to love them. Can’t wait to finally give them a shot!! I was skeptical, because it seems like sometimes I try and end up disliking things that everyone loves, but these brownies really are great. I hope you like them! I LOVE her site, too. I haven’t tried a recipe from her that I don’t like! Thanks for sharing this! We have brownies every Friday night and I’ve been using the box. 😦 They are good, but I know my family doesn’t need all the additives and sugar. I will try it out tonight! No problem! That was another thing that I loved about this recipe – no added oils or fats. So great! Haha yes, I would consider trying them. They were so good – hopefully it will leave you with a better experience! Good lord these look amazing. I’m super curious to try these! One of my classmates made them for a food science project once, but I was too nervous to try them. These look great! I’ll admit, I was a bit apprehensive taking the first bite, but I was very pleasantly surprised! 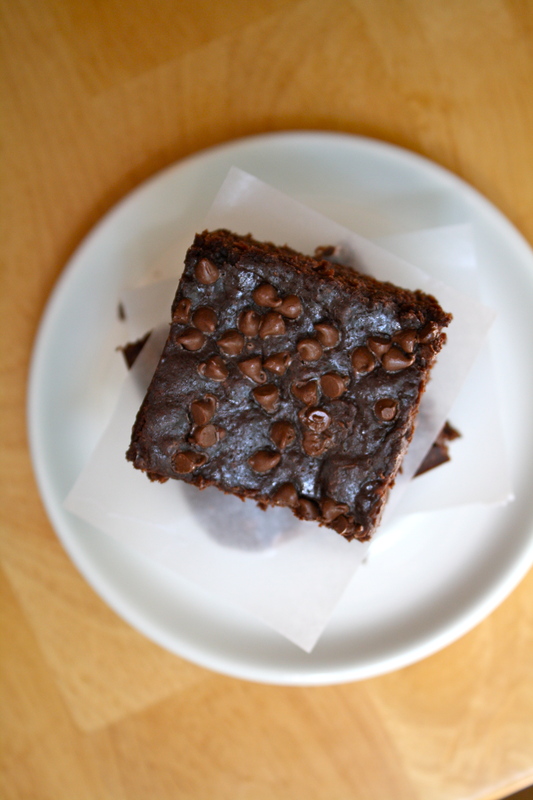 The last time I tried some, I didn’t blend the brownies all the way… and it wasn’t good haha. But now that I own a better food processor, I think I should try it again! Skinnytaste has such great recipes. Will have to check this one out because these look incredible!! All I need to say is….yummmmmmmmmmmmy! They look so fudgey and good. Oh wow Olivia these look amazing!!! 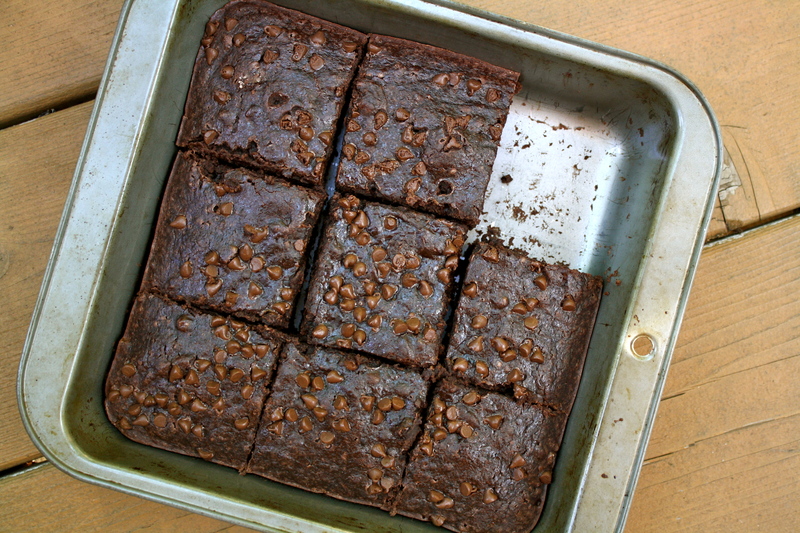 I adore black bean brownies and the best recipe I’ve found, to date, has been the one by Chocolate Covered Katie. Next time though, I’ll definitely give Gina’s recipe a try because, if your photos are anything to go by, then this is one fantastic recipe. I love how thick and fudgey they look! Oh I love CCK’s recipes, too. I hope you do try these – they were just incredible! Welcome to the black bean band wagon. I jumped on it months ago with this recipe (http://sallysbakingaddiction.com/2012/06/10/skinny-peanut-butter-swirl-brownies/) and was thoroughly satisfied. It does have eggs, although you could probably use flax eggs if need be. Now that I’m reading this, I’m thinking about making a batch to take on vacation with me. Thanks.